2 Can It Handle Abuse? What to know what the doctor said? You should have worn a hat more. If you’re fishing during the day, wear a hat and put on your sunscreen! It’s always important to protect your face, neck, and ears from the sun’s rays. Before we dive into all of the good and bad things about our top hats, let’s determine what makes a quality fishing hat. With the ever-increasing cases of skin cancer (melanoma) being reported, it is of the utmost importance to protect exposed skin from the sun. Fishing hats come in a variety of styles that offer varying forms of protection. For example, a sun visor will provide shade for the eyes but offers no protection to the top of the head, face, ears, and neck. While a bucket hat with flaps and/or a fishing facemask offers full protection. Kids should be wearing sun protection too! 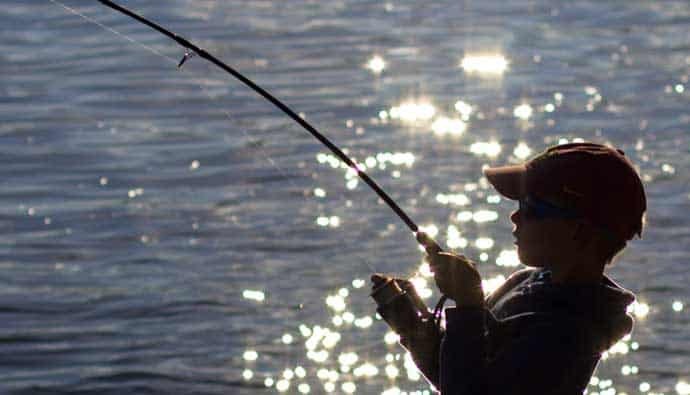 A wide brim fishing hat is a good choice for anglers who are in the direct sun and do not want to use a fishing face cover or a fishing neck cover. Boonie fishing hats, for example, offer a wide 360-degree shading, while allowing you to simply fold them up when not in use and store them in your pocket, when convenience is important. Most often, the face is the first part of the body to suffer sunburn. For anglers who prefer baseball caps, a fishing cap may be a better choice than a bucket hat or boonie hat. Keep in mind fishing caps alone do not provide full protection for the ears and neck, for this reason, sunscreen should be applied often. What sets a fishing caps apart from standard baseball caps is material and design. Fishing caps are designed with fishermen in mind. Most fishing caps, as well as fishing hats, are made of breathable, antimicrobial material. They allow air to circulate freely to help keep you cool, the antimicrobial material helps keep sweat and odor from becoming a problem. Breathability or air circulation is very important. 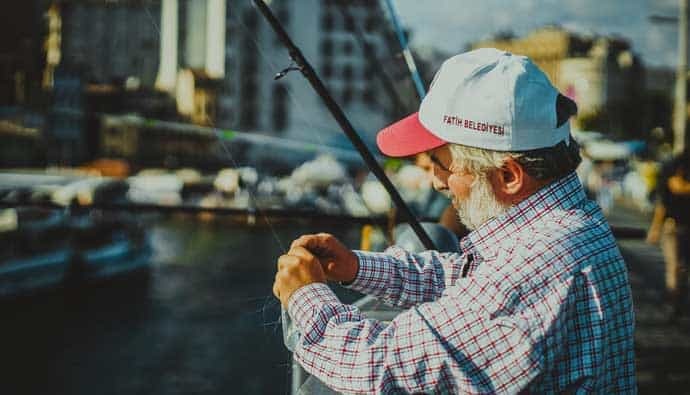 Since most body heat escapes through the head, a fishing hat that does not have proper ventilation can cause you to overheat and risk heat stroke. The most critical times of the day to be sun aware is from midday to late afternoon. However, a good rule of thumb is to make sure you have sun protection anytime you are going to be out for periods of 3 hours or longer. Boonie fishing hats are made of a nonstiff material that allows them to be folded small enough to fit in a pocket and still come back to their original shape. Fishing caps require more care when packing as well as cleaning. If a fishing cap is stored in a manner that bends the brim or bill, the fishing cap will require reshaping. Washing a fishing cap in a conventional washing machine requires a form to help the fishing cap hold its shape. Bucket hats, much like boonie hats hold their shape very well. Most fishing hats are made of a combination of polyester and cotton. This allows for flexibility and overall comfort. Material that wicks moisture the best is cotton. Polyester, while breathable and flexible, does not absorb moisture. Most fishing hats such as bucket hats, have a mesh that allows air to circulate keeping you cooler. Caps can actually retain heat especially if worn with other head covering. When it comes to color white is the best choice for keeping you cooler. This may not be the first color you would think of in a fishing hat but as a rule, the darker the color the more heat it draws, while the lighter the color the better it repels heat. Fishing hats that have material made of microfiber help repel odors associated with perspiration. Plays a role in how fast colors can fade. For example, the cotton will usually fade before polyester. The UV sun factor dictates the amount of sun protection the fishing hat offers. The higher the rating the more protection. Picking an adjustable hat tends to give a better fit than fitted caps. Fishing hats come in two basics when it comes to size. One size fits all (most) and Sizes (fitted). 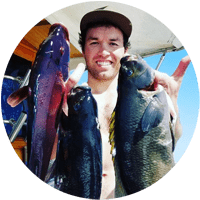 One size fits all is a good choice for fishermen that want an adjustable fit where fitted fishing hats are designed to fit the fishermen’s head snugly. When measuring for your fishing hat, should you decide on a fitted style, measure from the center of your forehead around your head just above the ears and back around to where you started. If your hat size does not match the fishing hat you are shopping for, it is ok to go up a half size. Over time a fishing hat will mold (train itself) to the shape of your head. 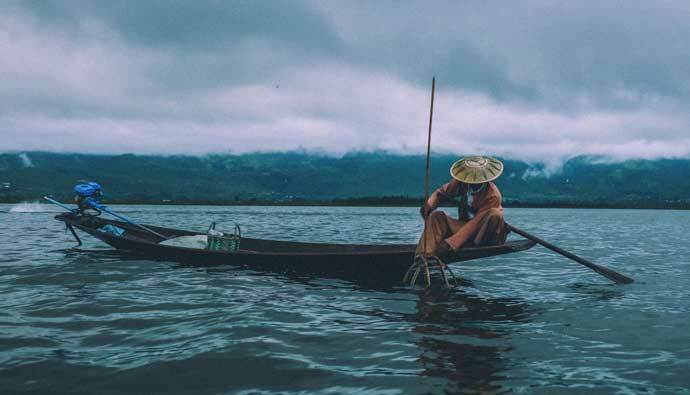 Bucket hats are sometimes referred to as a fisherman’s hat. A boonie hat is a form of wide-brim hat commonly used by military forces. Its design is similar to a bucket hat but with a stiffer brim. Some boonie hats and bucket hats have a chin strap to provide stability, especially on a windy day. Sometimes there is a series of loops around the crown of the boonie hat. These loops are there to hold leaves etc as additional camouflage. The crown of the hat may be vented with eyelets or small mesh panels. 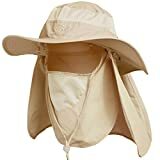 Most fishing hats come with chin straps that allow you to adjust your hat to your comfort level, these also help prevent losing your fishing hat on windy days. When in doubt, opt for a hat with more protection. Some brands of fishing hats are equipped with buttons on the side, such as boonie hats and bucket hats, that allow you to fasten the brim to the sides of the hat when you do not need full-brim protection. The button side feature is also handy for brands that have flaps, when not in use they can simply be attached by the button and loop closure design. Most fishing caps have an adjustable band on the back that will either be plastic with notches for adjusting or velcro. Fishing caps will either be mesh or fabric with vent holes. The mesh variety allows for more air circulation. For the boonie hats and the bucket hats, a simple hand wash with mild detergent and warm water will suffice. Fishing caps can be hand washed but require more care as they can easily lose their shape. 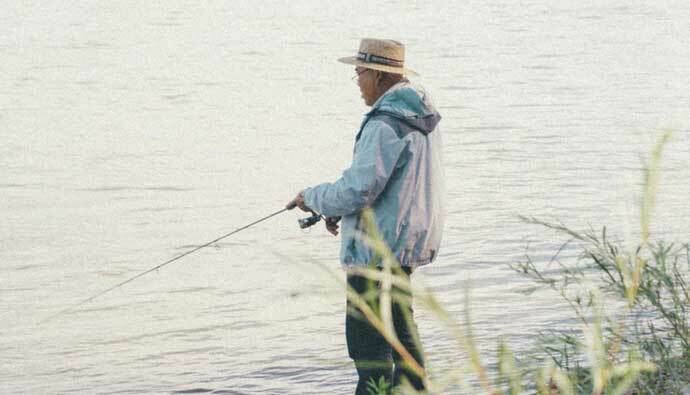 The fishing boonie hat and the bucket style hat can be machine washed in the event of heavy soiling but it is best to have a form for a fishing cap before machine washing. The Columbia Sportswear Bora Bora II sun hat features built-in UPF 50, an ultra-sweat-wicking headband that helps keep sweat from getting into your eyes, and a mesh vent panel for plenty of air circulation to help keep you cooler and allow heat to escape. The Columbia Sportswear Bora Bora II features Omni-Shade UPF 50 that protects you from the sun’s harmful rays. Omni-Wick sweatband and mesh venting actively breathe and pull moisture away from your skin to keep you cool. Adjustable drawcord and toggle at back mean that even on the windiest days, you do not have to worry about losing your fishing hat. Omni-Shade 100% textured nylon poplin on top, sides, and brim, means a very durable fabric that will last. This one size fits all fishing hat is a great choice for anglers of both genders, since it easily accommodates any head size. The materials used are good quality polyester and cotton that offers the perfect combination of a product that is comfortable, as well as easy to wash and maintain in top notch condition. Proper ventilation is ensured by a mesh section, so you will never have to deal with overheating when you are spending days in the sun. An adjustable string makes this versatile fishing hat perfect for any angler wishing to try it on. The range of colors available makes it a good choice for both genders. The camo coll hat is a combination of polyester and cotton, each fabric with their own advantages and downsides. Polyester is highly durable and ensures that the hat will not lose its shape. It is also resistant to stains, so you do not have to worry about various spills and accidents that may dirty your hat. Cotton, on the other hand, is good at absorbing moisture, which is something polyester cannot do. All in all, this is a very comfortable fishing hat that will keep your head cool and comfortable during your days out. The mesh section this hat comes with is not just a design element. Actually, it has quite an important functionality, since it is geared towards providing good ventilation so that your head does not overheat and you do not risk suffering a heat stroke. Featuring UPF 50+ to block out 98% of harmful UVA and UVB rays. The long neck flap protects your neck from sunburn, and hidden neck flap to be formed as bucket hat for daily use. The DDY outdoor fashion sun protection hat is great for any outdoor activities: fishing, hiking, camping, traveling, hunting, gardening etc. Suitable for both men and women. Mesh side panels, with two large mesh brass eyelets for better ventilation. The DDY outdoor fashion sun protection hat is collapsible and foldable for easy storage and transport, and comes in a one size fits all design. 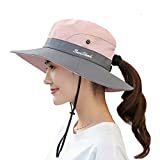 Muryobao Women's Sun Hat Outdoor UV Protection Foldable Mesh Bucket Hat Wide Brim Summer Beach Fishing Cap Pink, Fit Head Circumference Size: 21"-23"
The Muryobao fits most women’s head circumference, the material of the hat is soft and will conform slightly to the shape of your head. High-quality polyester material. Windproof, breathable, quick-drying, ultra-light. The Muryobao sun bucket hat with a wide brim keeps the sun from your face and neck and offers great protection from the damaging rays. Als,o cap comes with an adjustable drawstring to keep the hat from flying off in the wind. The hat is extremely light and comes with mesh side panel and sweatband to keep you cool during long summer days. The visor hat is adjustable on the back. It is open in the back, which means it will fit with a ponytail. The buttons beside the hat that can be buckled and become western immediately. The sun hat still keeps in good shape after being folded up and down many times. The fishing hat can be folded, which is very convenient to put it in your bag, lightweight and easy to carry. Casual style bucket hats like the Muryobao are perfect for people who are engaged in outdoor recreation such as fishing, camping, hiking, gardening, traveling, boating, hunting, safari, beach, pool or any other outdoor sports activity. 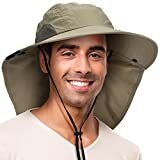 The Solaris unisex fishing hat is foldable, convenient to carry and keep, perfect for men and women’s camping, hiking, Kayaking, gardening, traveling, fishing, boating, hunting, safari, beach, pool, cookouts or sporting events and working outside. Made with: UV protection lightweight, breathable mesh performance micro-fiber., which features 100 SPF/ UPF 50, block 97.5 percent or more of sun UV ray. Windproof, breathable, quick-drying, ultra-light. The Solaris fishing hat is large enough to shade forehead, neck flap provide great protection for neck and ears. The breathable mesh on both sides lets the breeze through very well and keep your head cool. Adjustable chin drawstring for fitting the hat snug, especially in windy days, helps keep the Solaris fishing hat in place. And another drawstring behind the Solaris fishing hat is for adjusting the hat circumference to fit your head size. Built-in moisture-wicking sweatband keeps you cool in summer. The Solaris fishing hat also makes a great saltwater fishing hat because of its coverage that can protect against harsh winds. The Solaris fishing hat size is head brim 4″, overall diam 17″, head diam: 8, head circumference 24″. Please measure your head circumference firstly before purchase even though it comes in one size fits most. A fishing hat is one of the most important things you can have along on your fishing trip. With the many different styles of fishing hats, there is sure to be one that fits your needs. We feel the Columbia Sportswear Bora Bora Booney II sun hat is the best due to its versatility, UV protection, and style. Sun protection is something we need to take very seriously. 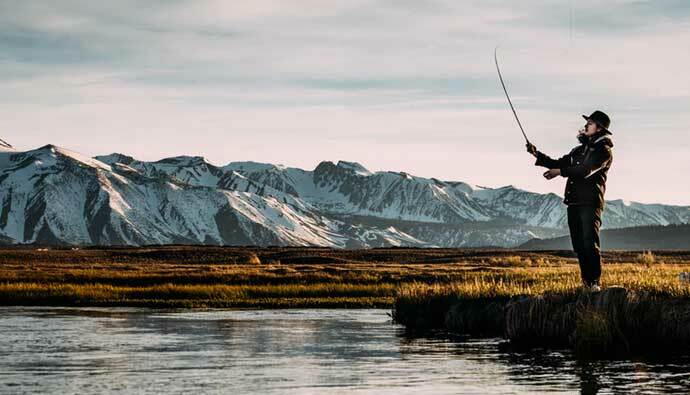 Whether you prefer a fishing hat or fishing mask, there are many brands on the market today that offer great protection so you can not only enjoy your fishing trip but take care of yourself in the process. Plus, fishing hats are synonymous with fishing. When you think of fishing don’t you imagine an angler wearing a fishing bucket hat with fishing lures attached to it and a fishing pole over their shoulder? The bucket hat (variations of which include the fisherman’s hat, Irish country hat, and session hat) is a hat with a wide, downward-sloping brim. Typically, the hat is made from heavy-duty cotton fabric such as denim or canvas, or heavy wool such as tweed, sometimes with metal eyelets placed on the crown of the hat for ventilation. Many anglers have a “lucky fishing hat” that they just can not go fishing without. More than just a place to display prize lures or for luck, fishing hats provide valuable protection from the sun, wind, and rain. Which hat do you like the best? Let me know in the comments below! Q: How do you put a fish hook in your hat? A: There are a couple of options, you can sew a fish hook on with a few cross stitches, or you can purchase a fish hook bent to fit your hat bill if you are using a fish hook for decoration. There is a fish hook made just for this purpose by eagle claw, available at most retailers. Use caution when attaching hooks to the cap section of your hat. Push the hook point downward through the cap. Rotate the hook and push the point upward through the top of the cap. The double point of entry stabilizes the hook and the upward angle of the point protects your skin. Use a metal file to dull the hook point if you do not plan on using the hook in the future. You should add the floatback to the list because it makes any hat a fishing hat. Wow that’s a great idea. Do you also offer one that has a pull-out neck protector?